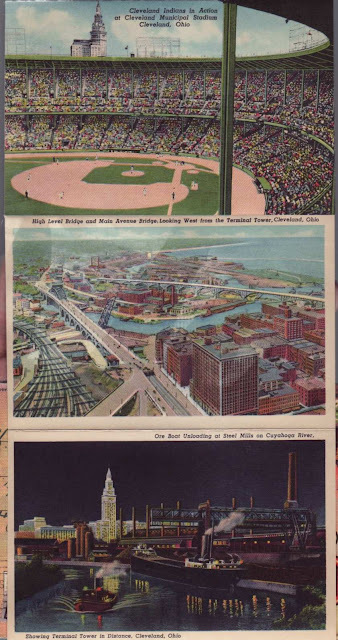 Urban Archeology. Look what I found! While hunting through the the last day of a sale I uncover not one but two undiscovered treasures hiding under some colored burlap under the stairs. See the full story and video here! This Shouldn't even happen to a dog! 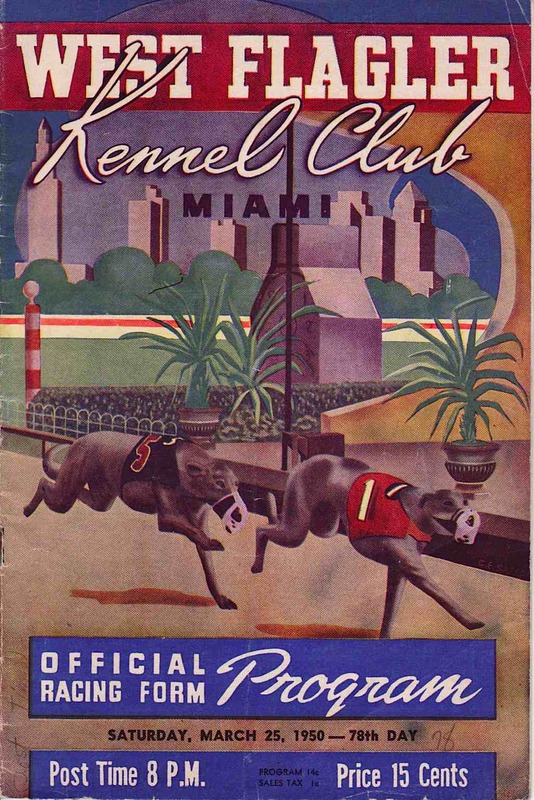 Opened in 1930 this Miami area race track was part of a racing/gambling boom in the depression era. 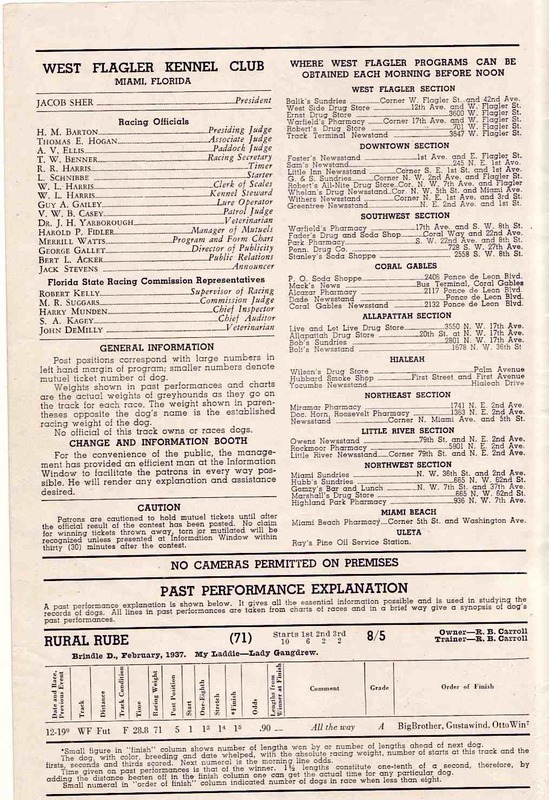 So popular that daytime races had to be moved or included at night because people weren't showing up for work. 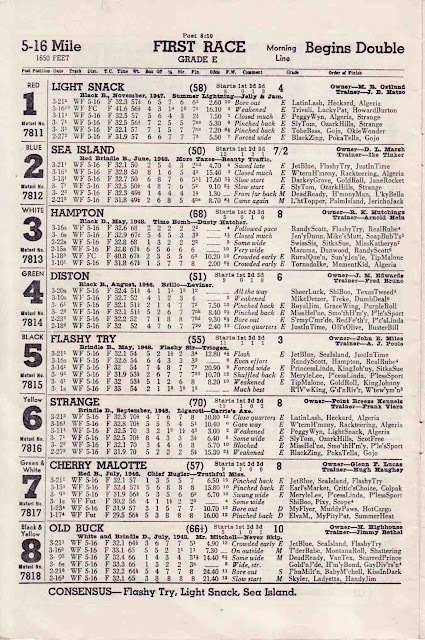 The thing I want to draw to your attention here is the right column showing where the program is sold. Worse than losing all those daily papers (curse you internet!!!) 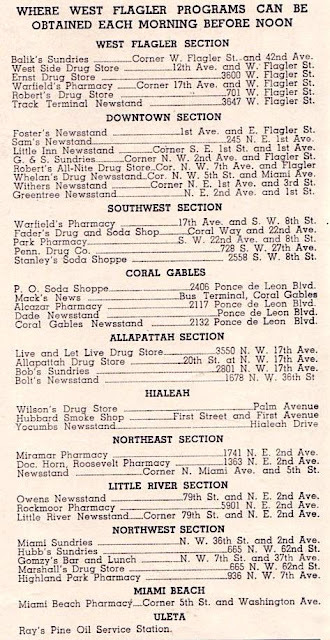 was losing all those mom and pop (mostly pop it seems) news stands. 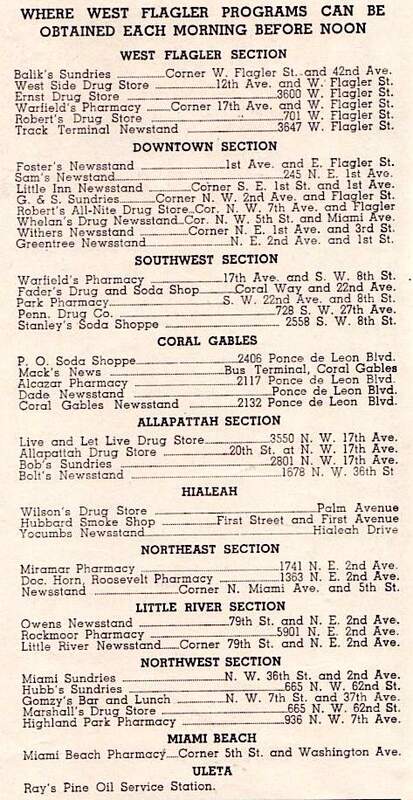 From Balik's Sundries to Ray's Pine Oil Service Station, I am sure they are all gone. 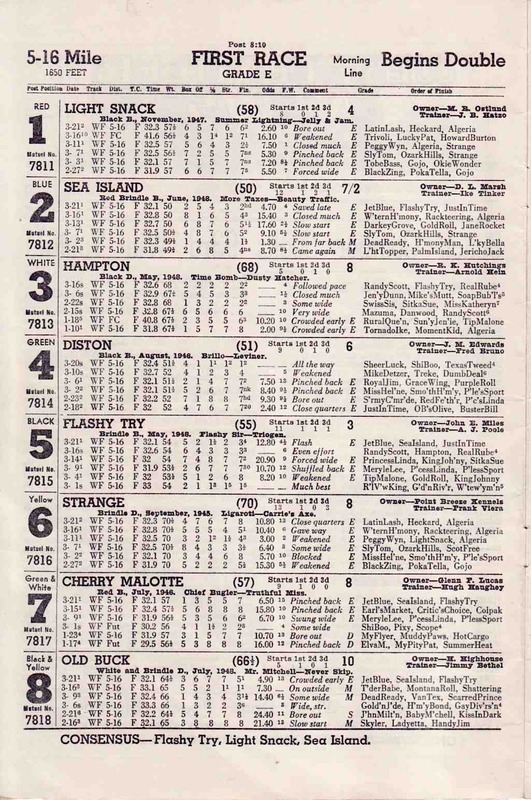 More fun than reading the names on the news stands was looking at the names of the dogs in the races. Reminds me of a Bugs Bunny cartoon that should be embedded below: Anncr: "Father's Mustache looks a little droopy! Motorman's Glove will have a hand in it!..." Finally here is the News page for all the updates a Flagler. 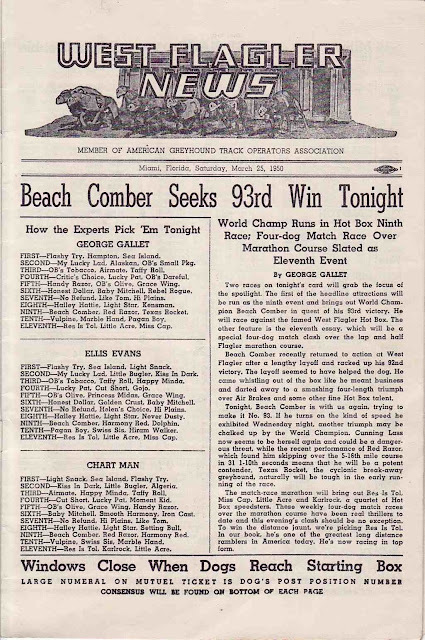 I'm betting on Beach Comber! Money Found in a 1970 Envelope - Honestly! Mary sold her fudge at the fair, but was actually picked up by a friend. 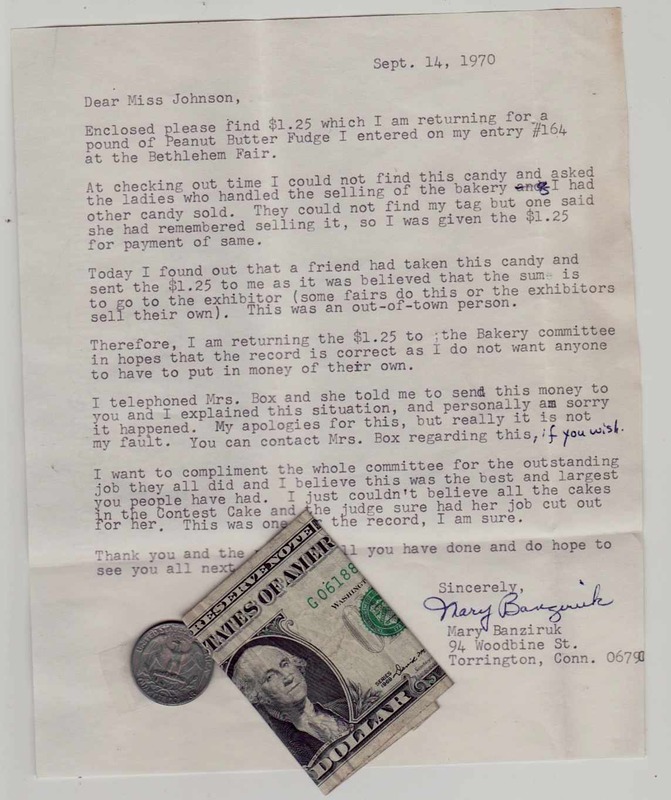 Mary accepted money she was not due and upon realizing it (after the Fair had ended) wants to set things right and mails the money to the appropriate person. $1.25 for a pound of homemade fudge, which today might cost anywhere from $6 to $16 is a fair amount to make off with, unintentionally in 1970. Mary set things right. But I see a second act of kindness here in that, Miss Johnson didn't get it back to the Bakery committee. Why? Because after the Fair is over; the books are closed and possibly money can't be accounted back in. Rather than send it back to Mary, who has suffered some consternation (noted by the detail in the letter), she holds the money in limbo for more than 40 years. Hidden, until they are both gone and no one involved is ever again disturbed by the misunderstanding. The way I have described this I think makes for a good life lesson when considering money owed and the protection and preservation of someone's feelings. 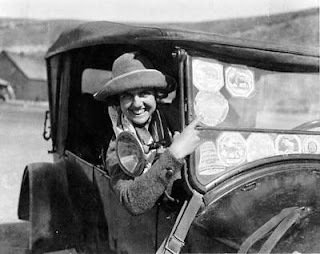 Miss Johnson saw the value in weighing the "best" thing against the "right" thing. Take a look at the back of any car and you will see that 8 out of 10 have some kind of sticker affixed to them. Candidates, pets, honor students and places visited in sticker form decorate vehicles old and new. 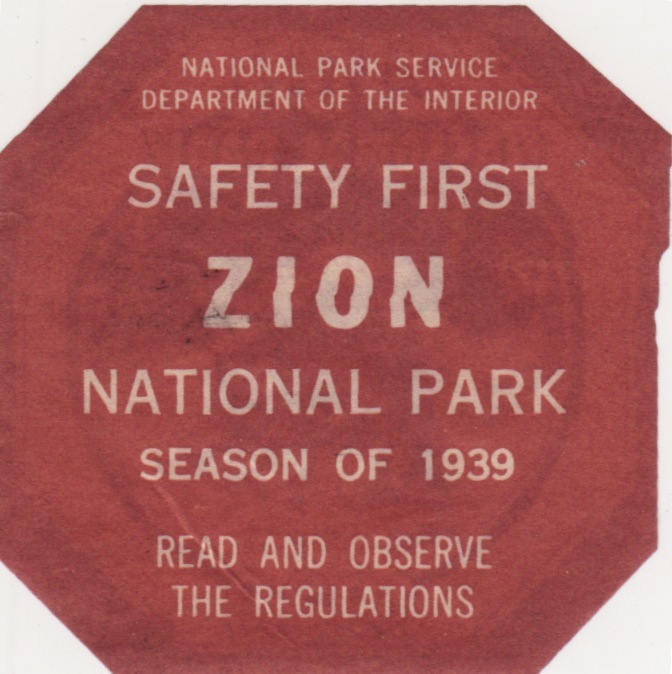 In the 1920's with the growing interest in motoring and exploring, the National Park Service began to see more and more visitors at their gates. 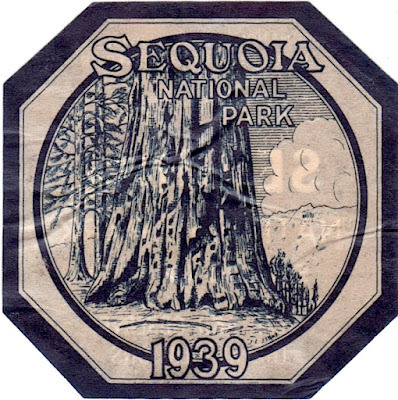 As you paid your entrance fee you would be given a commemorative sticker like one of these to adorn your scrap book. Though I understand that instead people would stick them to their windshields and use them like they were park entrance passes. 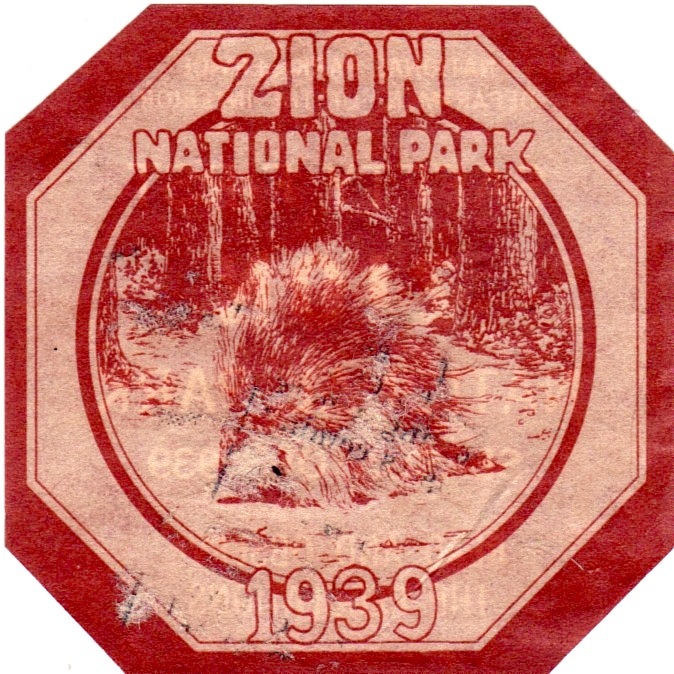 With their appearance and popularity they came to be know as Zoo windshield stickers as each featured an animal along with the name of the park and were handed out from 12 different locations. Crater Lake (black bear), General Grant (Columbian gray squirrel), Glacier (mountain goat), Grand Canyon (beaver), Mesa Verde (coyote), Mt. Rainier (Columbian blacktailed deer), Rocky Mountain (big horn ram), Sequoia (the American elk or wapiti), Wind Cave (antelope), Yosemite (mountain lion) and Zion (porcupine), Yellowstone (Bison). 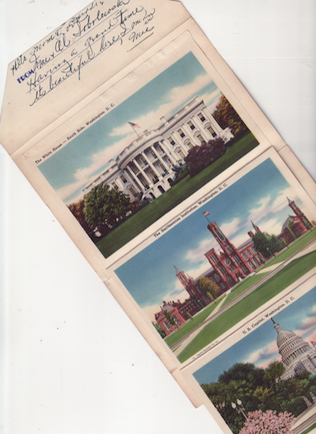 They eventually added more Parks, but there was some concern for public safety as collectors displayed these so much as to reduced the view through the windshield. 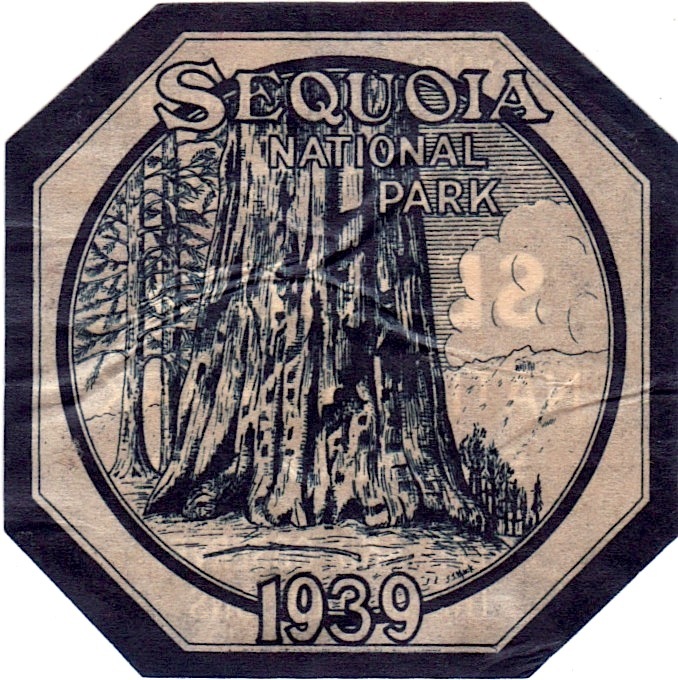 The stickers were eventually reduced in size to the 2.25 inches you see above. 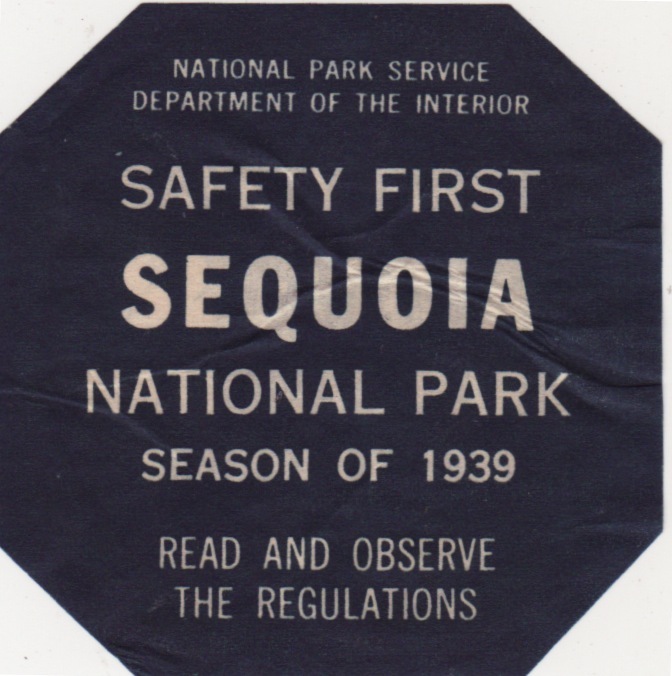 The stickers would be discontinued only a year after these were given out. To read more on the iconic items, take a look here. 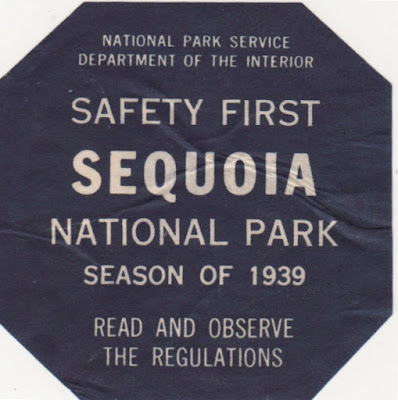 and while your at it - Visit Ranger Doug he has some neat reproduction items and good informaton about the way things used to be in our National Parks. 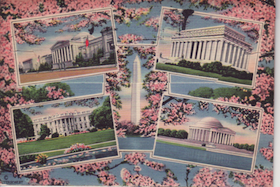 Greetings from Washington DC...1943..It's Beautiful Here...I mean it. Another of the richly printed picture packs sent home to tease the relatives. Again, no space to actually write anything, just sign, lick, send. 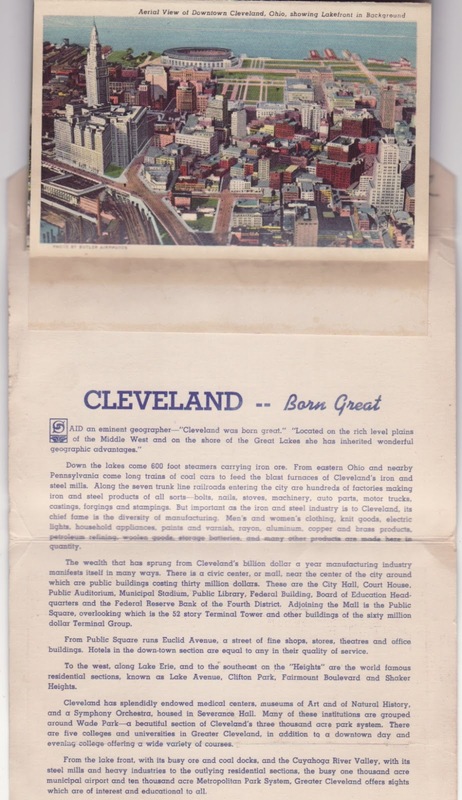 Some eminent Geologist proclaimed long ago that Cleveland was "Born Great." Well, that may have been true if the city had anything to do with the printing of these familiar picture packs of the 1940's. The color and graphics are beautiful. 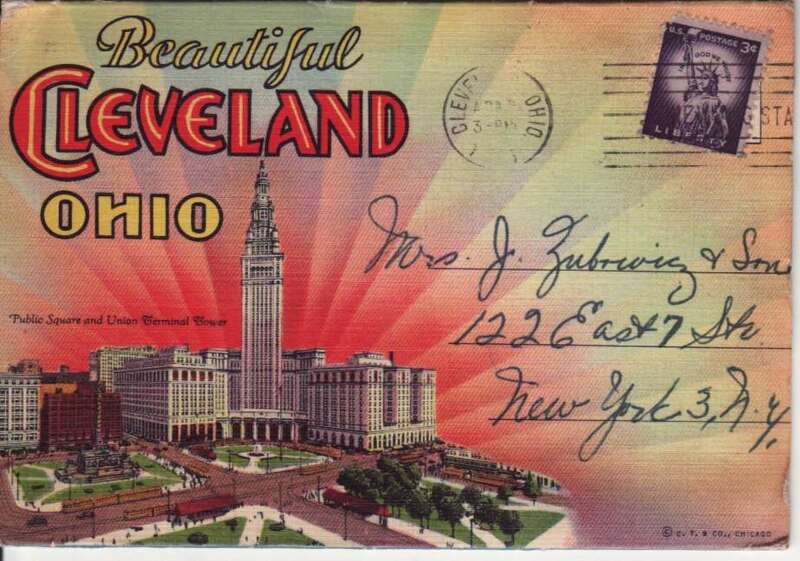 These were common and if you were traveling the country to places you had never seen before - you might grab one of these in the train station - scribble a few words and send it back home. 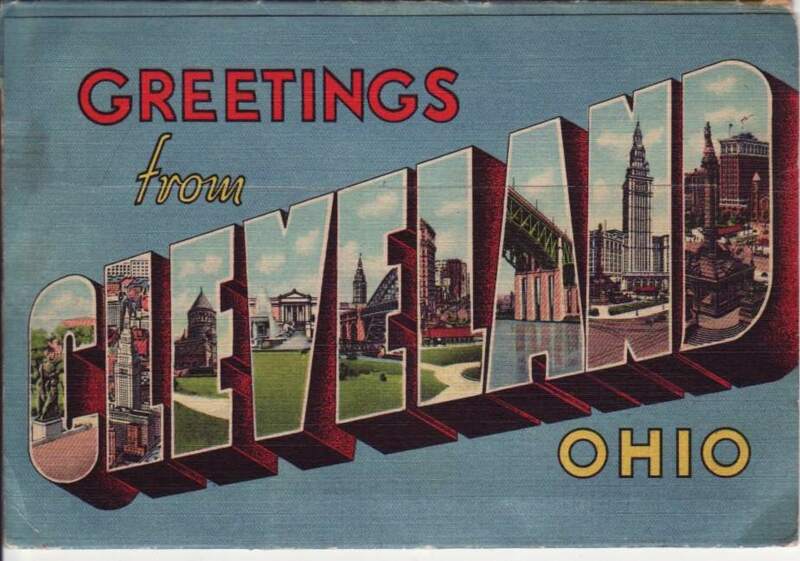 We get it, you're in Cleveland. How about a nice long letter? Nope, Instead you got the full story of Cleveland and more attribution to some eminent geologist, "Born Great." Yeah, I bet you say that to every city. 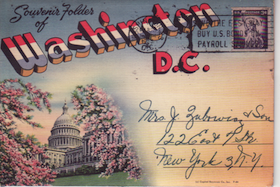 How about that personal letter? There was actually no room to write anything except a few quick words. Nice pictures of pictures... no photos though. 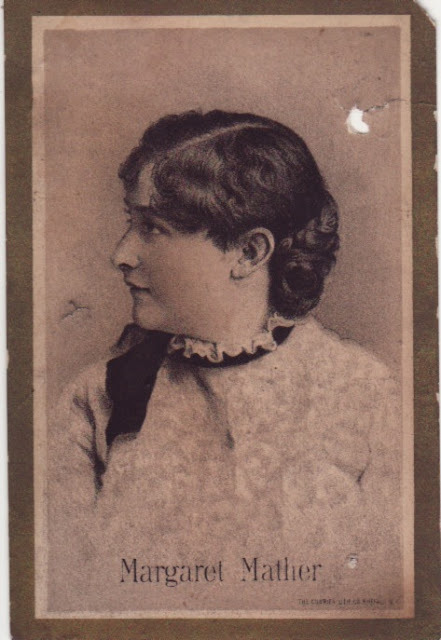 I wouldn't have had any idea who Margaret Mather was if I hadn't found a lithograph of her. From one brief Wikipedia entry it doesn't seem as though she led a happy life. She made her NY debut in 1886 at the Union Theater as Juliet. 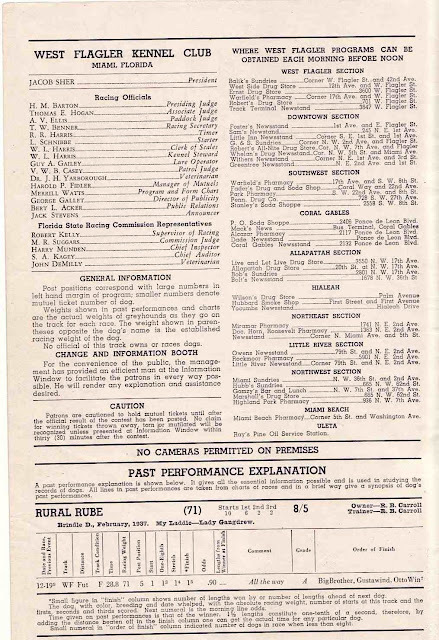 The play ran for quite some time and while it was popular the critics weren't so nice. This is something that seemed to plague Margaret throughout her career. It was thought that her reputation was more manufactured then earned. Having grown up in poverty she would never escape her upbringing and this likely caused her to exert herself beyond her abilities. In the end her exhaustive schedule and a a battle with Bright's disease (a form of Kidney disease) caused her to collapse on stage in West Virginia never to regain consciousness. She died and was brought back to Detroit where she was buried. for more on Margaret Mather - go here. 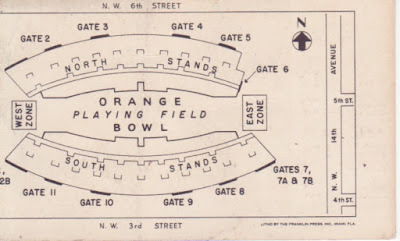 I'm going to the Orange Bowl....61 years ago! 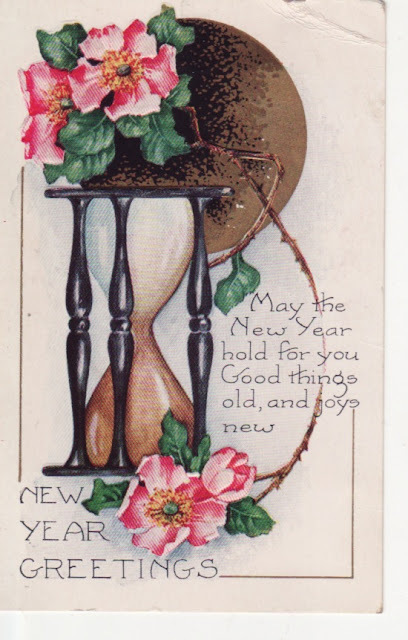 This 90+ year old postcard has the perfect sentiment to start another year of Urban Archeology- "...Good things old and joys new" Yup, that about says it all.